Do you like your whiskey straight up or as part of some more elaborate concoction? While a glass of Scotch whisky can be the most soothing part of a hectic day, there’s really nothing like mixing the leathery and smoky notes of whiskey with something a little livelier. The next time you pour yourself a smooth drink into your favorite whiskey glass, consider what you may be able to add to it for a unique flavor combination. Or skip coming up with your own concoctions and pull from this classic list of the top 35 best whiskey cocktail recipes out there. A strange take on a classic Jack & Coke, this peanut-based recipe has a nuttiness that mixes well with the whiskey’s own array of colors. A splash of Coca-Cola cuts in a touch of sweetness that rounds off this stirred concoction. The trio may sound strange when laid out together, but let sit for several hours and you have yourself a surprisingly refreshing libation. Blood oranges have such a distinct flavor that make this spiced beverage so much more than a spiked orange juice. The colorful fruit gives the Hot Blooded its red coloring why the addition of jalapeno and whiskey adds a much-needed spice to cut down on the sweetness. The Gold Rush is a simple beverage that combines three ingredients to create a modern twist on the Whiskey Sour. Bourbon kicks off the flavor profile, but it’s the addition of lemon juice and honey that rounds out this sweet and sour beverage. The light coloring is inviting, but it’s the kick of the bourbon that really sells the rush of gold. If you’ve never had a Mint Julep, you’re really missing out on a classic bourbon-based libation. It’s a common southern beverage that’s equal parts refreshing and intoxicating. Bourbon whiskey kicks off a spiced flavor profile while the addition of sugar and mint cuts in to tame the flavor of the alcohol. Add a little ice and you’ll be kicking these back on those warm summer days. It’s impossible not to get sucked into a drink concept named “Satan’s Circus.” This whiskey-based cocktail backs up its unique name with a clever mix of liquids that make this red liquid a favorite. It all starts with rye whiskey, which is then cut with Heering Cherry Liqueur, Chile-Infused Aperol, and a hint of fresh lemon juice. You haven’t had a real whiskey cocktail until you’ve checked out with a Manhattan in hand. A touch of bitterness, a hint of sweetness, and spicy notes deliver on a drink that has become a must-try for all whiskey drinkers. Bourbon is the base liquid for this refreshing cocktail, but the refined flavors of vermouth and Angostura bitters are hard to miss with each sip. What’s not to love about a libation that has the word “paradise” in its name? When we think of paradise, we picture stretches of empty beach, golden soft sands, and water at the perfect temperature. After on sip of Trouble in Paradise, that word will trigger a different sent of imagery. Images like the unmistakable flavorings of sprigs of basil, honey, grapefruit, and lemon that help round out the bourbon and Campari base. Walking into a bar, slamming your hand onto the countertop, and demanding a whiskey sour is all a part of becoming an adult. It’s such an iconic whiskey drink that, while you read this, there’s probably someone drinking one right this second. Bourbon is cut with lemon and syrup for a sweet and sour blend. At the end of each sip lies a hint of spice borrowed from your choice of bourbon. Don’t let the fun name throw you off. This playful-sounding cocktail can knock you onto the floor if you’re not careful and pace yourself. It all starts with a whiskey or blended Scotch which gets the “Whiskey Sour” treatment with a touch of lemon and syrup. Don’t forget, this drink is for rugged cowboys, so of course all of that would be mixed into a large glass of chilled lager. Irish whiskey gets the fruity treatment in this complex libation, which is all about the surprisingly in-depth flavor profile. Bitters and nutmeg are added to a liquid mix of black tea, orange juice, lemon juice, and Oleo-Saccharum for a drink that’s best served as a chilled punch at social gatherings. Jack Daniel’s is a southern favorite. Coca-Cola is a national favorite. Mix the two together and you have a drink that could bring the whole country together. There is little more classic than the fizzy flavoring of Coke cutting into the butterscotch notes of Jack Daniel’s amber libation. This is one of those drinks you could easily get lost in and being so easy to make, it’s a favorite at gatherings. Have you ever had a Moscow Mule? Typically, they’re made with vodka, ginger beer, and lime juice and are completely out of this world. They’re sweet, but that splash of vodka really comes through. Now, consider that with bourbon instead of vodka? Rather than cutting the sweetness with something harsher, the bourbon quells it with caramel and oak notes. Sounds refreshing, doesn’t it? Well, pomegranate juice on its own is a delectable treat, so just imagine what it tastes like when you mix it with rye whiskey. Actually, don’t just imagine it – experience it. It’s more than just pomegranate and rye whiskey, however, as this sweet and fruity libation also includes honey simple syrup, Luxardo Maraschino liqueur, bitters, club soda, and lemon juice for a robust taste. Bourbon and milk may not sound like a good pairing, but don’t rack your brain trying to figure out how it works. As this Seasonal Milk Punch proves, it just does. That the bulk of this libation’s ingredients are fruity in nature makes it even more surprising when you take that first sip. As the name implies, the Whiskey Smash has been around for a while and with how flavorful and simple it is, why shouldn’t it have lasted this long? The crushed ice is the key to this refreshing chilled beverage, but the mix of bourbon, lemon, mint leaves, and a simple syrup certainly don’t hurt the sweeter flavor profile. Who doesn’t love a cold glass of apple cider? Now mix that with dry hard cider, rye whisky, club soda, lemon juice, and Aperol for an enhanced version of the Autumnal beverage. The sweetness of the apples blends nicely with the notes of the rye whiskey while the club soda dilutes what would otherwise be an overly sweet libation. 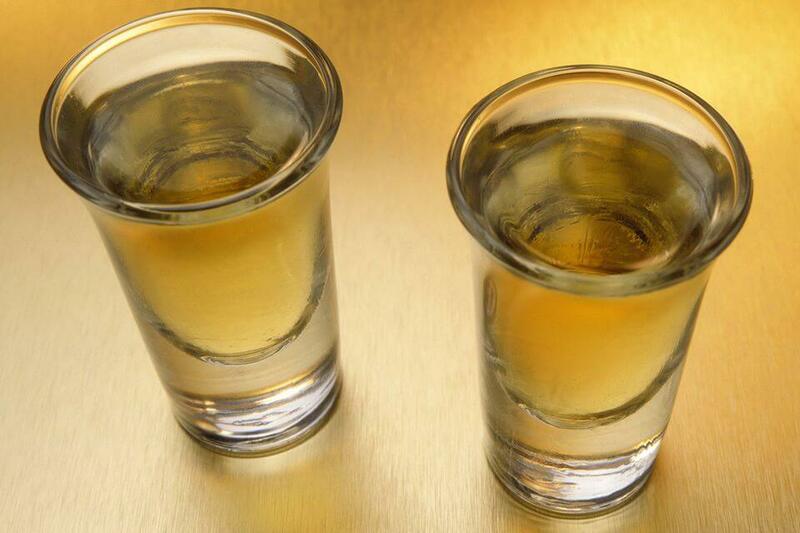 The Pickleback is an incredibly easy libation that’s one shot glass Jameson’s Irish Whiskey and one shot glass pickle juice. In one swift motion, drink one then the other for an end product that’s a surprisingly flavorful. It may not be a traditional cocktail, but its unique use of whiskey earns it a spot on any whiskey cocktail list. This chilled beverage is the perfect ratio of spicy and bitter, made from Scotch whiskey, dry vermouth, and just enough bitters and pastis to stand out in its already-strong flavor profile. Named for the Scottish city, the Glasgow calls back to its roots with a Scotch whiskey that’s flavorful and smooth. The Winter Truce can be made with a variety of libations, but white whiskey is among one of the more popular choices. Combined with honey, Chartreuse liqueur, ginger, lemon juice, echinacea extract, and Angostura bitters, the whiskey’s flavors still shine in this warming beverage. Rye whiskey starts off this fruity drink and is mixed with grapefruit juice (red or pink), lime juice, bitters, and agave syrup for a thick sweetness. It’s a frosty beverage that has a distinct flavoring that’s perfect for the wintery months. The beautiful golden brown color give this color its name. It’s a strange name, sure, but the Brain-Duster will help you forget the qualms of your day, like they’ve been dusted away permanently. The name came about in 1895 thanks to bartender George J. Kappeler but the cocktail has been around for some time. The rye whiskey, Italian vermouth, and Angostura bitters help round out the flavor but it’s the absinthe that is what helps clear your mind. Syrupy, bitter, sweet – this cocktail has it all. It also offers a means of escaping the worries of the world thanks to its inclusion of absinthe. Rye whiskey is mixed with Peychaud’s bitters, angostura bitters, lemon peel, absinthe, and a sugar cube. The Highball is one of the easiest cocktails out there, and though it’s only two ingredients, the flavor profile is quite intriguing. All you have to do is take a ginger ale and mix it with your favorite whiskey, be it rye, Scotch, or bourbon. The sweetness and fizz of the ginger ale mixes splendidly with the smoother texture of the whiskey. If the Chancellor Cocktail sounds fancy, it’s because it is. A chilled cocktail glass holds several ounces of blended Scotch whiskey – but of course there’s more to this libation than that. The Chancellor also includes a touch of ruby port, French vermouth, and orange bitters, which all cut down on the harshness of the whiskey for a well-rounded taste. When it’s chilly outside, bundle up indoors with a Hot Toddy. But don’t go with the typical Hot Toddy mix. Throw in a splash of Sriracha for a kick that goes well beyond what you’d expect from this winter-time cocktail. While taking a swig of sriracha may not sound appetizing, the whiskey, honey, lemon, and ginger help balance the flavor out. As the name suggests, rye whiskey (and sometimes bourbon) serves as the base of this incredibly simplistic cocktail. The individual flavors of the whiskey and the Aperol have their time to shine as the club soda helps mix them together into a flavorful blend. Drink cold for the best flavor this simple drink has to offer. Rye whiskey, dry vermouth, and pineapple juice combine into a flavorful trio for this beverage named after the Algonquin Hotel in New York City. The color is incredibly summery, which makes this an ideal beverage to have while lounging by the pool. It all started in 1894 when a bartender at New York’s Waldorf Astoria decided to put a spin on the classic Manhattan. Scotch whiskey gets the vermouth treatment with a touch of bitters for a drink that does its homeland proud. You’ve likely seen them used in protein shakes, but egg whites also have their place in cocktails. For The Rattlesnake, it’s a mix of rye whiskey, lemon juice, sugar, and absinthe that mix with egg whites for a great flavor. The unique texture comes from a double-shake method. You may be able to argue that this isn’t a traditional “cocktail,” but don’t let the inclusion of Irish coffee lead you to believe that this isn’t as effective as other cocktails. If the caffeine content of your favorite coffee blend isn’t enough to perk you up, try adding Irish whiskey and brown sugar for a real pick-me-up. The Boulevardier not only sounds elegant, it tastes that a glass of luxury, too. A smooth bourbon serves as the base while Campari and sweet vermouth provide a more diverse flavor profile. It’s a simple drink that can also be aged for up to two months for an earthier, stronger taste. So, it may sound like a theme park ride, but don’t let that sway you away from this playful cocktail. Rye whiskey is combined with an applejack brandy, simple syrup, bitters, lemon juice, and club soda for a drink that’s fizzy and smooth as it goes down. If you’ve ever had and enjoyed a Tom Collins, this take on that classic beverage will be right up your alley. This libation starts with a Japanese whiskey, which is improved upon by sugar, lemon juice, and club soda for a smooth and balanced drink. This punch is a favorite at gatherings thanks to its sweeter profile. The bourbon alone provides a bit of caramel sweetness while grapefruit juice, sweet vermouth, and grenadine amplify it even more. When the sun is shining bright, nothing is more refreshing than a glass of Backwoods Bourbon Punch.